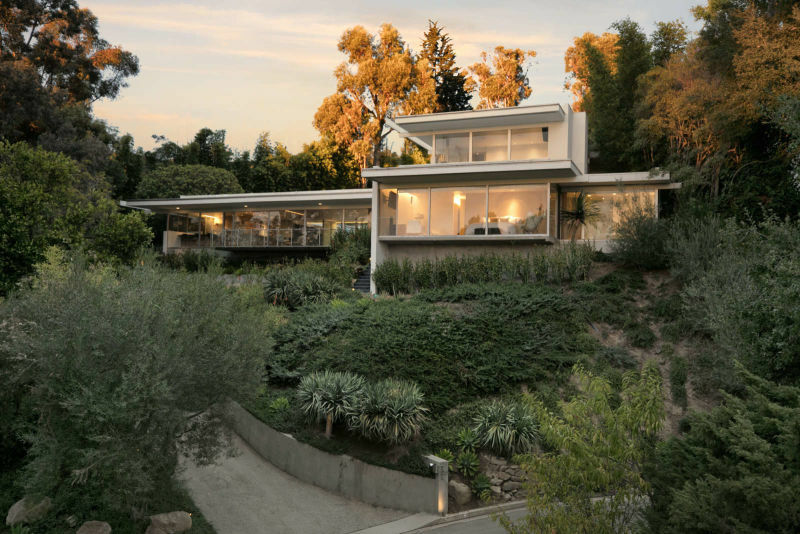 Modernist master Richard Neutra’s clean lines and effortless indoor/outdoor flow are on sweeping display in the 1954 Hammerman House, a rare tour de force on over half an acre in Bel-Air with expansive views to the ocean. 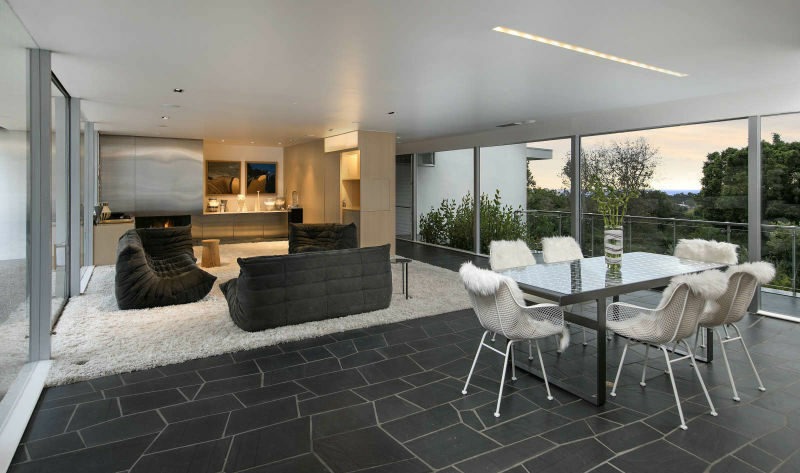 One of the crowning achievements in the architect’s illustrious career, 201 Bentley Circle has been impeccably updated and expanded by a noted architect and Neutra scholar in keeping with original plans that included an unbuilt second story. One of the most influential architects of the 20th Century, Neutra helped define modernism in Southern California and around the world. Here, his signature blend of art, landscape, and practical comfort is on elegant display everywhere. In the living room, a sliding wall flanking the floor-to-ceiling stainless steel fireplace conceals a wet bar. Facing walls of glass sweep across the open kitchen and living room area front and back, bathing the space in natural light and opening to a large pool on the rear side. 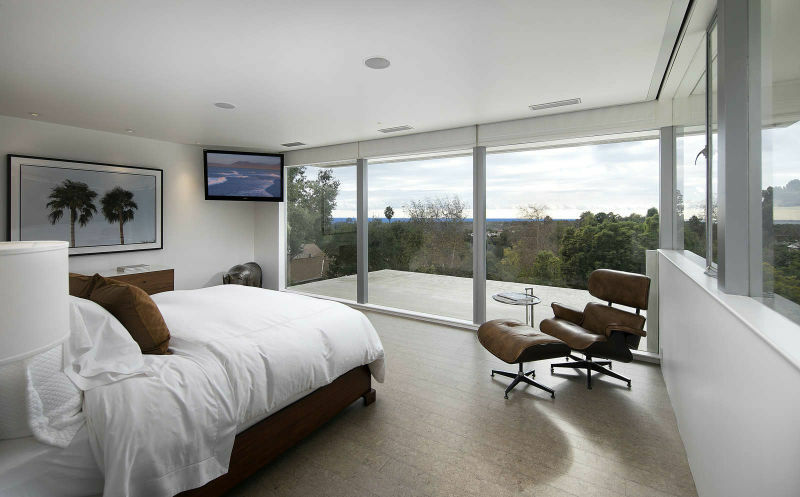 The downstairs master suite, with dramatic head-on views, features a luxurious terrazzo bath. A floating staircase in the spacious family room ascends to the second level, where another bedroom suite enjoys panoramic views. Crestron Home Automation throughout, a maid’s quarters, laundry room and ample parking complete the home. 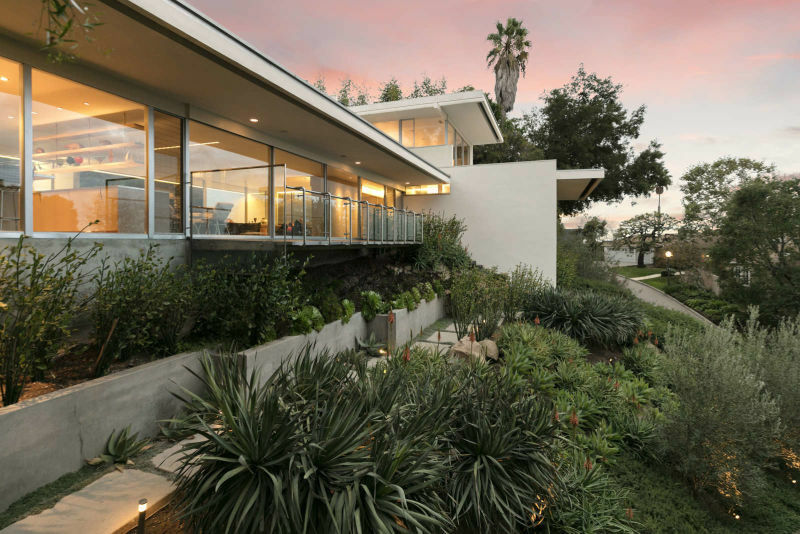 Today, very few Neutra homes of this scale, setting, and quality can be found on the Westside. This is a rare opportunity to own a modernist masterwork. Set behind a private gate up a long drive, 201 Bentley Circle, Bel Air is listed by Aaron Kirman at $13,500,000.